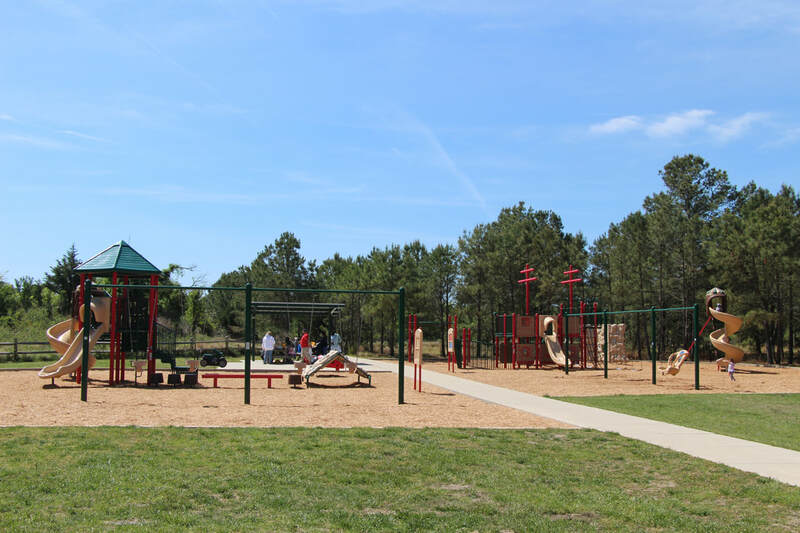 Both the FOCHSP and the park’s management recognized the need for a playground suited to small children. In 2009, they worked to identify a suitable location and appropriate equipment for a playground in the park. We devoted the proceeds of most of the FOCHSP fundraising efforts for several years to this project. We also applied for and received monies from The Longwood Foundation and the Marmot Foundation. 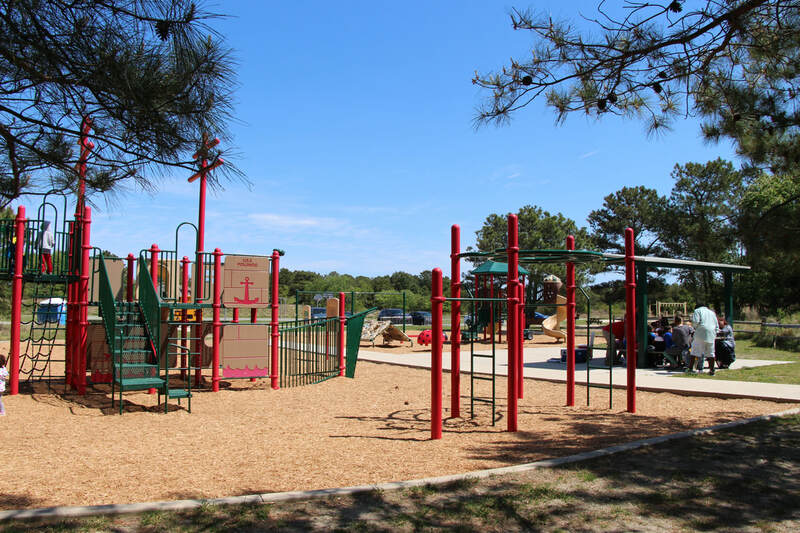 Delaware State Representative Pete Schwartzkopf and State Senator Gary Simpson provided additional support from their Community Transportation Funds for bike and pedestrian pathways and curbing throughout the playground area. Groundbreaking for the playground was held in October 2011. The playground was completed and dedicated in August 2012. The playground is located near the basketball courts. There are two play areas: one for ages 2-5 and one for ages 6 and up. Every Delaware State Park has an 18-hole golf course...a disc golf course, that is. The Cape Henlopen State Park disc golf course is spread over a marvelous mixture of sand dunes and beach pines, on the land between the Playground/Basketball courts/Officer’s Club and the public bath house. It offers an pastoral setting for both beginners and professionals sharing the natural flora with deer and other park wildlife. Instead of a ball and clubs, disc golf use a flying disc, or Frisbee®. The sport was formalized in the 1970’s, and the object is completing all 18 holes with the fewest strokes (or, in the case of disc golf, fewest throws). The disc is thrown from a tee area toward a target which is the “hole”. The hole is an elevated metal basket (often mistaken in the park as a deer feeding station). As a player progresses down the fairway, he or she must make each consecutive throw from the spot where the previous throw has landed. The trees, shrubs, and terrain changes provide challenging obstacles for the golfer. Finally, the “putt” lands in the basket and the hole is completed. Disc golf shares the same joys and frustrations of traditional golf, whether it’s sinking a long putt or hitting a tree halfway down the fairway. There are few differences, though. Disc golf rarely requires a greens fee, you probably won’t need to rent a cart, and you never get stuck with a bad “tee time.” It is designed to be enjoyed by people of all ages, male and female, regardless of abilities. If you do not yet own your own set of discs to play with you may borrow some for free at the Nature Center while obtaining your course layout and scorecard.